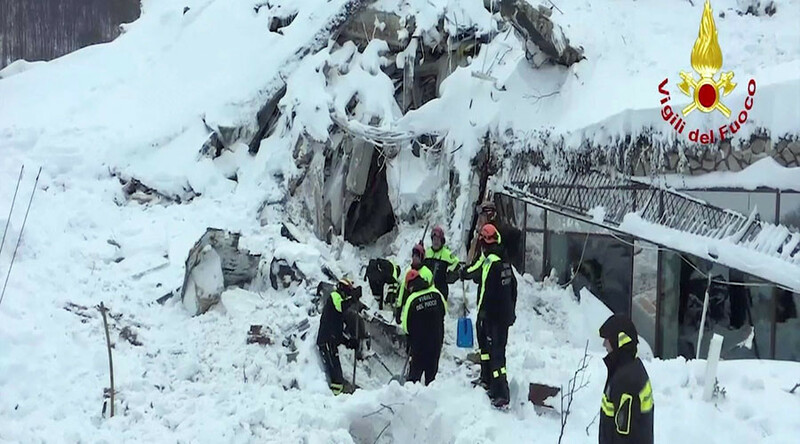 Almost two days after up to 30 people were feared dead when an avalanche hit a hotel in Italy, 10 people, including three children, have been discovered alive under the snow, an Italian firefighter spokesman said, according to Reuters. The first woman and her daughter have been pulled out of the rubble, and is being evacuated to safety, ANSA agency reported. 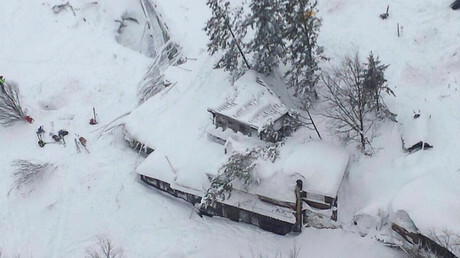 Rescuers are now working to recover other survivors from snow, fire brigade spokesman Luca Cari said, as cited by Reuters. “They are alive and we are talking to them,” he told the agency by phone. In a conflicting report, AP cited a local policeman talking from the scene by radio, who put the number of survivors at five, adding that choppers had been requested for the rescue operation. Rescuers worked through the night, in extreme conditions, with temperatures well below zero, ANSA reported them as saying. “Since yesterday evening we are working in difficult conditions in the search for survivors. Dogs often sniff odors but we must dig to over 4, 5 meters before reaching the ground,” Matteo Gasparini, head of the rescue team, said. Up to 30 people were declared missing on Wednesday afternoon, and were feared dead for many hours. As of now, two of the victims’ bodies have been found, and two others have been located, according to local media. The avalanche, which was triggered by a string of earthquakes, struck the base of the Gran Sasso mountain range near the Rigopiano di Farindola hotel. There were about 20 guests and seven staff members at hotel at the time of the disaster.